The defining feature of the 2017 Jeep Compass is that it is, above all, extremely affordable. It is a budget-friendly family SUV that delivers an excellent driving performance on the road and does quite well on the trail. It’s quite an achievement for Jeep to be able to do this much and still keep the price as low as it is. If there’s one vehicle that understands the value of tradition, it is the 2017 Jeep Compass. Edmonton drivers can trust the vehicle for being extremely reliable. 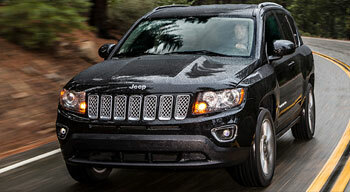 The loyal Jeep customers will not waver in their commitment. And it will also manage to bring many more followers to the fold. One of the best features of the Compass is that it comes with two separate driving packages, each of which add more to its existing ability to master challenging terrains. If we had to choose one out of the two, we’d recommend the Freedom Drive II package which adds many upgrades to the base versions in order to bolster its off-road capabilities. It starts with a four-wheel drive which works even better in off-road mode. The package also brings many off-road essentials like a skidplate shield, hill-start and hill-descent controls. And if it still leaves some doubts about its off-road capability, the better all-terrain tires and a full-sized spare will surely get rid of them. The 2017 Jeep Compass comes with a standard 2.0-liter four-cylinder engine that delivers an adequate 158-horsepower performance. It’s available in front-wheel drive only which is suitable for family rides on long highway journeys. For that purpose, the 2.0-liter inline-4 is powerful enough to deliver a satisfactory driving performance. The engine offers two transmission options with a five-speed manual and an automatic CVT. If you want to up the ante even further and want more power, better acceleration, and an enhanced towing capability, you can go for the other option—the 2.4-liter inline-4 engine—which is able to deliver a 172-horsepower performance. The second offers more variety since it’s available in front-wheel and four-wheel drive arrangements. And both the front-wheel and the four-wheel drive are available with five-speed manual and six speed automatic transmissions. Both engines offer decent acceleration and decent fuel economy figures. And both exceed the expectations created by the moderate price of the Compass. And this is, in many ways, its most enduring quality. If you want a vehicle that delivers the value for money in the truest possible sense, there can be no better option than the 2017 Jeep Compass. Edmonton buyers, who want to buy a new car that doesn’t have a huge impact on the wallet, cannot do much better than the Compass. If there’s a reason to invest in the Jeep Compass, other than its moderate price, it is the huge range of engine, drive, and transmission options that come with it. It offers something for everyone and manages to please all kinds of buyers with their differing needs. The powerful engines can comfortably carry five passengers and still tow up to 2,000 pounds, which is impressive. 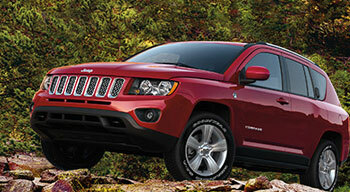 There are a lot of similarities in the external designs of the Jeep Compass and the Jeep Grand Cherokee. And it has a much more family-friendly appearance. It drops the boxy shape of the Wrangler to adopt one with much more rounded surfaces. It’s a handsome vehicle which has more in common with the other sophisticated midsized SUVs in its class than the rugged stripped down appearance of some of its own kin. Compared to the utilitarian interior of the Wrangler, the inside of the 2017 Jeep Compass feels much more cozy, comfy, and lavish. And although it has a moderate price, the high quality of the available material suggests the vehicle belongs to another class entirely. It can comfortably seat five passengers for long trips and each would have ample head and leg space. 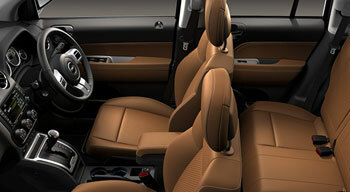 There’s ample space for cargo in the back and the rear seats will fold 60/40 to accommodate even bigger objects. The leather material of the seat doesn’t feel like it belongs to a modestly-priced vehicle. 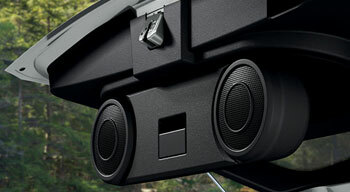 One of the best interior equipment packages is the sun and sound group which adds speakers to the liftgate in the rear. The sound system for the sun and sound group is great and works fine for any outdoor event. All you have to do is lift the liftgate. Even though it’s a modestly priced vehicle, the range of equipment that comes even with the base models is truly impressive. 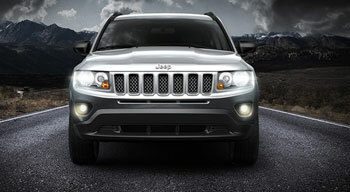 The base models of the compass have equipment options that aren’t available in the base models of some of the higher priced Jeep models. You can enjoy air conditioning as well as power windows and locks. The 4-speaker sound system is basic but you can upgrade it to the Uconnect infotainment system. Even the base models have options like cruise control and power heated mirrors with 16-inch wheels. If you’re willing to upgrade to higher-end trims, you can get a leather-wrapped steering wheel and heated front seats. 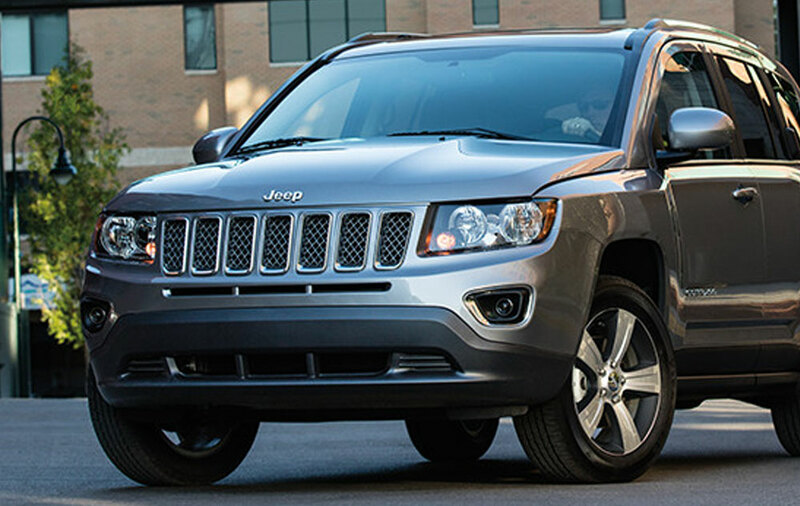 If you want a vehicle that truly rises up to the challenge of a modest price and offers all it can with what it has, you can’t find one better than the 2017 Jeep Compass. Edmonton drivers will find much to like in the vehicle and they have no reason to complain about the price. Test the 2017 Jeep Compass at Derrick Dodge! Whether you’re ready to make a purchase or just curious if this might be the right model for you, take the drive from St. Albert or Sherwood park to get behind the wheel of the 2017 Jeep Compass at Derrick Dodge Chrysler Jeep RAM. Our doors are open to serve you seven days a week, and you can always contact us for more information.